Iranian 3D animation movie Light sight directed by Moslem Tabatabaei was screened in festivals in Italy, US and Brazil. It has been successfully screened in seven International festivals, including the semi-final of the 2nd AGRinCORTO festival in Italy on May 6, the 5th Cape Cod Festival of Arab and Middle Eastern Cinema in the US on May 4, the Cineclube Animassa on the occasion of the 6th anniversary RV Cultura Arte establishment in Brazil on May 6. The seven minute 3D animation is about a character M E, who is fascinated by a white light outside its room. M E tries to reach the light by which he is mesmerized from birth. He is distracted by colourful balls on the wall with which he starts to play. He uses the balls to reach the light but eventually he is buried in the mountain of balls which acts as an obstacle for him to go near the light. Further more the animation has also been nominated for the best short film in the third Marietta International Film Festival which is held in the US. 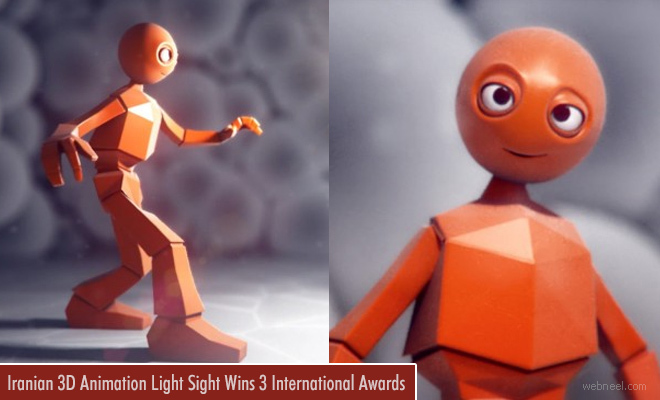 Light Sight also has bagged various International awards including the best animation at the Social Film Festival In Italy in 2017.